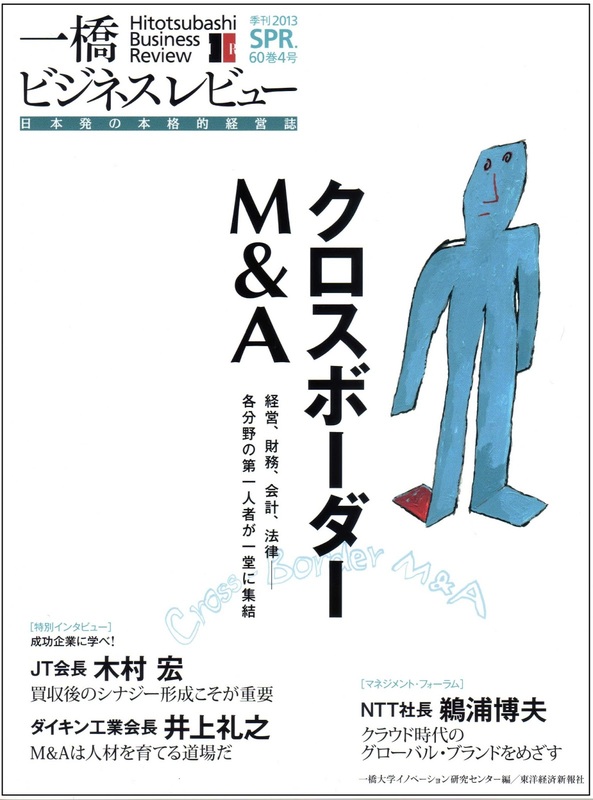 "Current Outlook of Japanese Cross-Border M&A"
"Cross-Border M&A and Management Strategy"
"Sequential M&A Achieving Sustainable Profitable Growth"
"Practical Considerations for Cross-Border M&A"
"Cross-Border M&A - Laws, Regulations and Practical Considerations"
"Are Japanese Firms Really Not Good at Corss-Border Acquisitions? : An Empirical Study"
●Critical Eyes: Digitalization and Business Custom in the Japanese Publishing Industry. 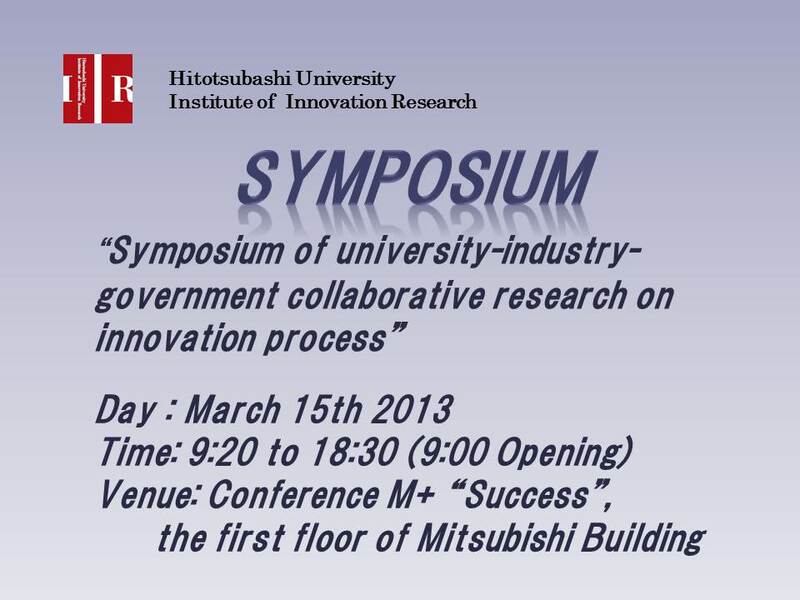 This symposium aims at discussing the management and policy design to enhance the innovation capability in Japan, based on the findings from the program of University-industry-government collaborative research on innovation process, especially focusing on the semiconductor and bio/pharmaceutical industries. The researches have been supported from the Japan Society for the Promotion of Science (JSPS): Grant-in-Aid for Scientific Research (S) (No. 20223002) and Grant-in-Aid for Scientific Research (A) (No. 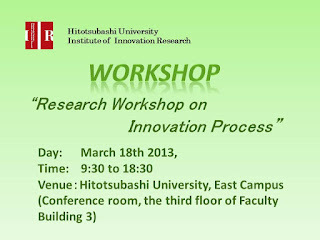 21243020), and from the Japan Science and Technology Agency (JST): Science of Science, Technology and Innovation Policy. 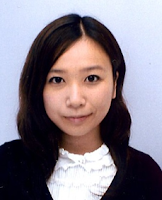 9:30 to 10:20 Keynote speech (1): "The Increasing Role of Globalized R&D Consortia in the Semiconductor Industry: The Role of International Sematech"
10:30 to 11:10 "The Changing Potentiality of Japanese Semiconductor R&D System: Social Network Analysis of High-h/Metal Gate R&D Activities"
12:00 to 12:50 Keynote speech (2): "Mobile Scientists and International Network: Insights from GloScience Project "
14:00 to 15:00 Keynote speech (3): "How Actemra was Invented and Developed? 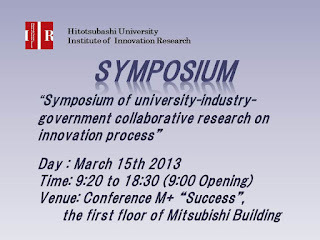 : the First Antibody Drug from Japan"
15:00 to 16:30 "Sources of Breakthrough/Innovative Drugs from Japan: Initial Fndings from 10 Case Studies "
1) "Features of Research and Development of Breakthrough/Innovative Drugs"
2) "Science Sources of Breakthrough/Innovative Drugs"
3) "Intellectual Property Rights and Patent Competition of Breakthrough/Innovative Drugs"
17:30 to 18:10 "Scientific Sources of Japanese Bio Startups"